Hi, thanks for adding me. 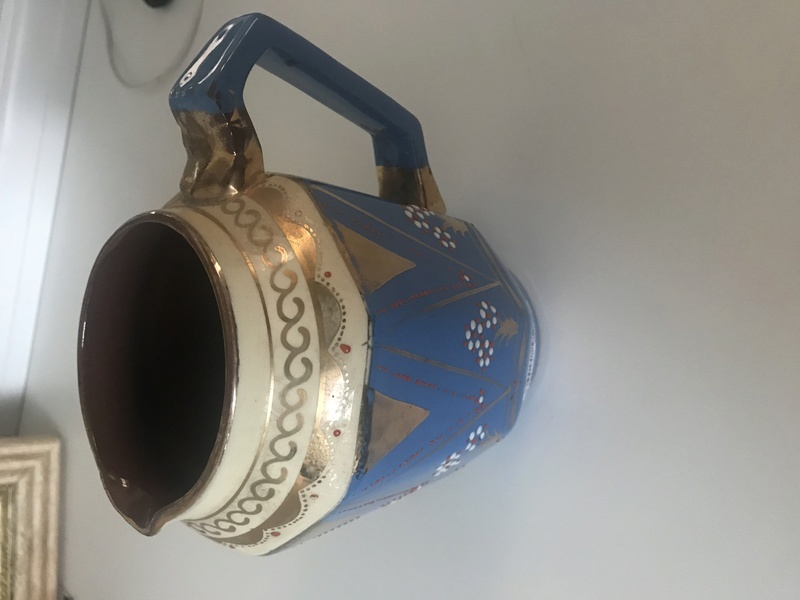 I wonder if anyone could help please, I have this little jug and would love to know more about it. It is approximately 15 cm high. 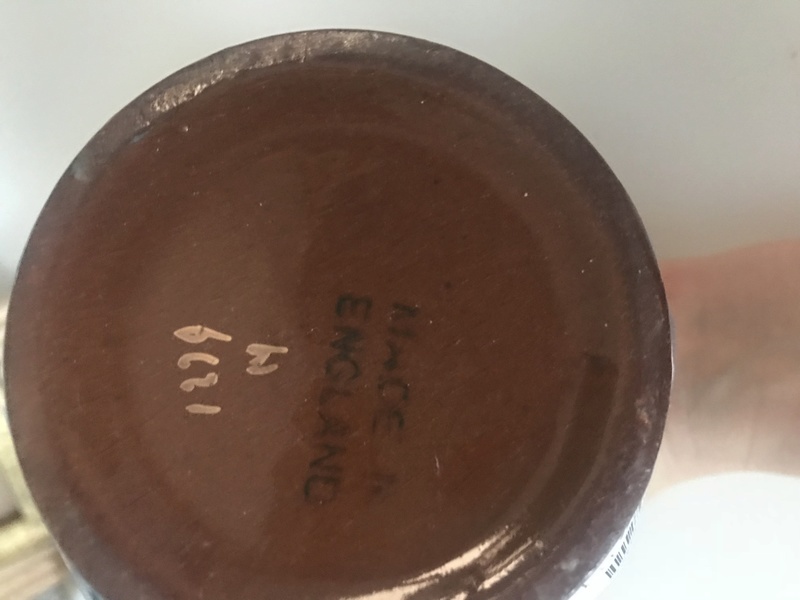 It has Made in Wndland stamped on the bottom and a number and possibly signiture/symbol in gold. Ellgreave or Gibsons. The marks are gilders/decorators/pattern numbers. 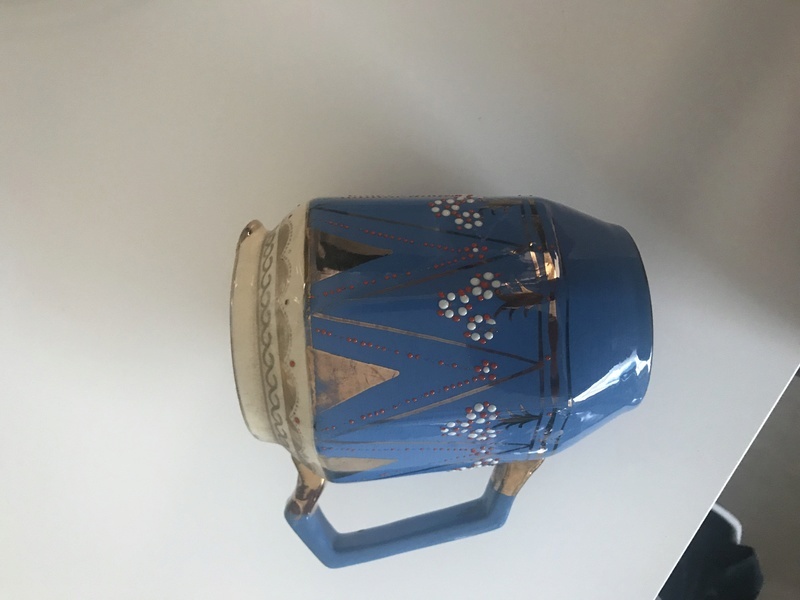 These keep turning up, unmarked, may be one of a set of 3. I have deleted the duplicate post.